This card has been discontinued by the issuer, but you can browse reviews for other credit cards here. If you have a balance you'd like to transfer, you'll love the 0% APR for 1 year on all balance transfers made in the first 45 days. And to pique the cost-conscious interest further, there is no annual fee, ever. For 12 months you save on interest with a 0% APR on balance transfers made in 45 days of account opening. Points are redeemable for a wide range of products and services including flights, hotel stays, cruises, gift cards and more. You earn two times the miles on travel and dining purchases, categories that folks interested in a travel rewards credit card can likely put to good use. 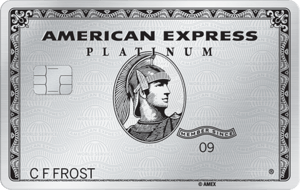 The best feature of this card, hands down, is that cardholders earn 2 miles per each dollar spent on travel and dining. If you are a traveler, you’ll certainly find value with these two categories earning the most points. To take the rewards a step further, this card provides 5% miles back offer every time you redeem your miles. For example, if you redeem 60,000 travel miles, you get 3,000 miles toward your next trip. The redemption rate for points equals about 2.1% which makes it a strong contender in the travel credit card game, especially without requiring an annual fee. If you’re a light spender, like $1,000 or less a month, this card is catered to you. It is the light version (or no annual fee version) of the Barclaycard Arrival Plus® World Elite Mastercard®, which is better for big spenders. As you’d expect with a high-quality travel card, this Barclaycard does not charge foreign transaction fees. The bonus offer for this Barclaycard is 20,000 miles when you make $1,000 worth of purchases in the first 90 days of your account opening. We should be thrilled that this no annual fee card offers a bonus offer, but we can’t help but feel blandness after reading the details. 20,000 miles equates to roughly $200 in airfare. Even with the 5% rebate by booking for travel, you’re still at $220 in travel. Maybe a quick trip from San Francisco to Los Angeles is worth it to you, but in our opinion, there are other cards out there with more enticing intro offers, like Discover it® Miles (This card is not currently available on CardRatings), which we’ll address in this review. Don't confuse the 0% APR on balance transfers with 0% APR on purchases like some issuers offer. The Arrival™ World MasterCard® has a generous 12 month, 0% APR on balance transfers made in the first 45 days. But after that, APRs spike and purchase APRs are fairly high from the get go. Check issuer’s terms for the most recent rates. 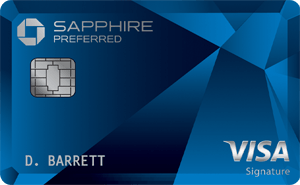 Barclay offers an upgraded version of the Arrival™ World MasterCard®; it's appropriately called the Barclaycard Arrival Plus® World Elite Mastercard®. The key difference: if you spend more than $1,000 a month, consider the upgraded, annual-fee version. The intro offer is the first time you’ll see what an annual fee can earn you: Instead of $1,000 of purchases to earn 20,000 miles, you need to spend $5,000 on purchases to earn 70,000 miles in the first 90 days. Barclaycard Arrival™ World MasterCard® boasts no annual fee. Its plus-sized counterpart has an $89 (waived first year). Both cards give you that cool redeeming perk: 5% of your miles back once you redeem miles. These two cards duke it out until the end when it comes to perks: both are non-annual fee cards, and while Barclaycard offers 2 miles per dollar for travel and dining purchases and 1 mile for all other purchases, Discover cuts the difference down the middle with a flat 1.5 miles per dollar for all purchases. The major difference between the two cards pertains to the intro offer: With Discover it® Miles, all miles earned in your first year are matched. So, Barclaycard’s intro offer of 20,000 miles starts to look meager if you’re able to accumulate just 15,000 (or more) miles in your first year with the Discover card. The Venture® Rewards Credit Card has an intro offer more than double the value of the Barclaycard — specifically, 50,000 miles (a $500 value) for spending $3,000 in the first three months. The other big perk is that every $1 you spend gets you two miles, not just for dining and travel purchases. Not to mention the fact that you can fly any airline, stay at any hotel, anytime and not have to worry about blackout dates. Plus, you can transfer your miles to over 12 leading travel loyalty programs. The $0 annual fee is introductory. In the second year, you pay $95. The Venture® card does not offer 5 percent miles back when you redeem your miles. We think over the long haul, the Barclaycard Arrival™ World MasterCard® makes the most sense for folks spending lightly but, we are intrigued by Capital One®’s two points for every $1 spent and the 50,000 miles compared to 20,000 miles for the intro offer. This card suits the traveler who regularly spends a light amount on credit. It takes $1,000 of purchases in 90 days to get 20,000 bonus miles, but as with any credit card, if you miss payments you could forfeit your points. So, it's the securely employed cardholder with some cash reserves for whom this credit offer is most appropriate. If that's you, we think you should enjoy it!